→ Superman (1°) #234 (1) (02/71) How To Tame A Wild Volcano! 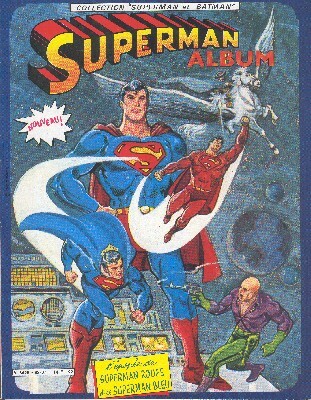 → Superman (1°) #235 (03/71) Sinister Scream Of The Devil's Harp! → Superman (1°) #238 (1) (06/71) Menace At 1000 Degrees! 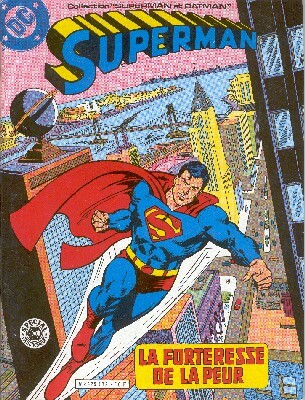 → Superman (1°) #241 (1) (08/71) The Shape Of Fear! 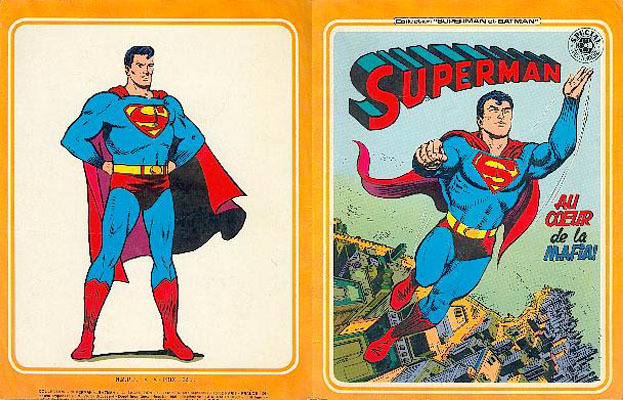 → Superman (1°) #242 (1) (09/71) The Ultimate Battle! 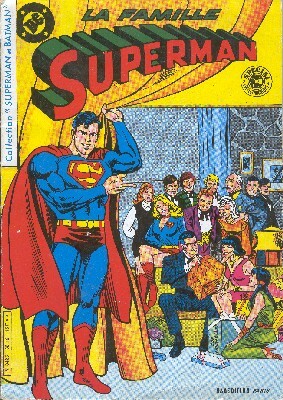 → Superman Family #203 (3) (09/80) Private Life Of Clark Kent - The Woman With Omnivision! 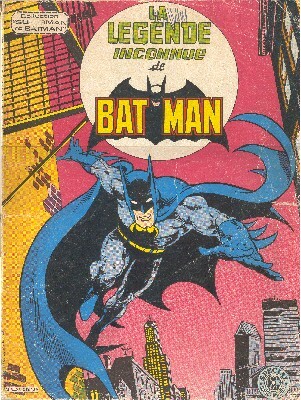 → Marvel/DC (One-Shots) #2 (1981) Batman Vs. 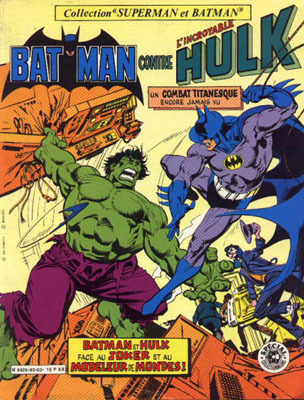 The Incredible Hulk - The Monster And The Madman / When Wakes The Behemoth...! / When Dreams Won't Come! / When The Sea Churns Green...! / When The Shaper Commands...! / When Madness Reigns...! 7 4e trim. 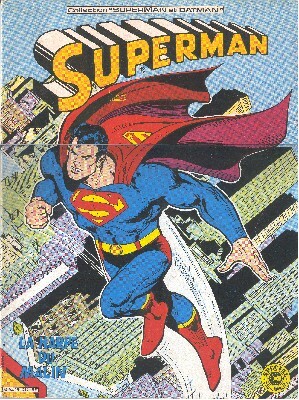 1982 9,5 / 7,5 / 5,5 / 4,1 / 1,6 Superman - Au coeur de la mafia ! 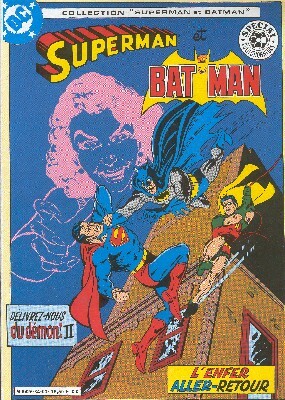 1/ Superman et Batman et Robin - Au cœur de la Mafia ! → World's Finest (1°) #194 (1) (06/70) Superman & Batman - Inside The Mafia Gang! → World's Finest (1°) #195 (1) (08/70) Superman & Batman - Dig Now, Die Later! 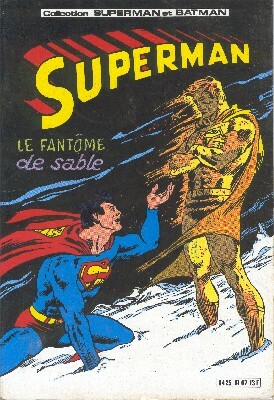 3/ Jimmy Olsen copain de Superman - Un drôle de numéro ! → Superman's Pal, Jimmy Olsen (1°) #124 (1) (10/69) Jimmy Olsen's Girl Trouble! → Superman Family #200 (2) (03/80) Jimmy Olsen - The Thief At Sky's Edge! 6/ Jimmy Olsen l'ami de Superman - Jimmy Olsen, c'est Robin ! → Superman's Pal, Jimmy Olsen (1°) #111 (1) (06/68) Jimmy Olsen, Boy Wonder! 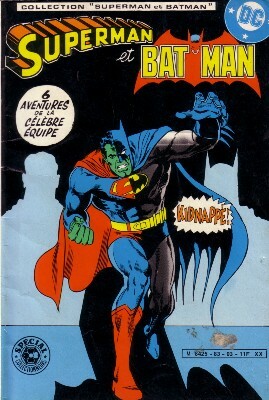 9 03/83 11 FF (1,68 €) 10 / 8 / 6 / 4,5 / 1,8 Superman et Batman - Kidnappé ! 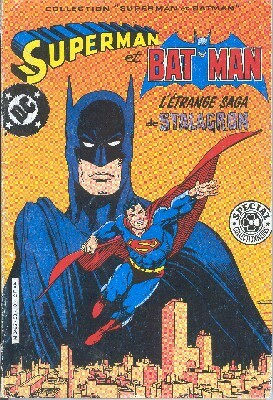 → World's Finest (1°) #279 (1) (05/82) Superman And Batman - Kidnapped! 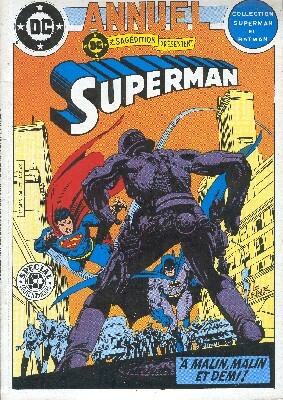 → World's Finest (1°) #280 (1) (06/82) Superman And Batman - General Scarr's Army Of Crime! → World's Finest (1°) #281 (1) (07/82) Superman And Batman - War In The Streets! → World's Finest (1°) #282 (1) (08/82) Superman And Batman - The Joy-Bringers! → World's Finest (1°) #285 (11/82) Superman And Batman - Deliver Us From Evil! → World's Finest (1°) #286 (12/82) Superman And Batman - All Hell Breaks Loose! → World's Finest (1°) #287 (01/83) Superman And Batman - Within My Heart... The Enemy! 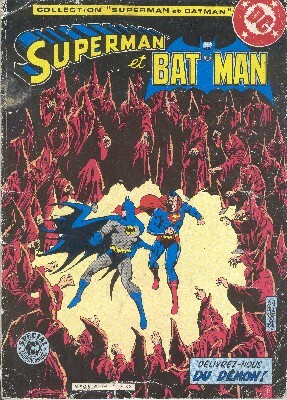 → World's Finest (1°) #288 (02/83) Superman And Batman - To Hell... And Back!